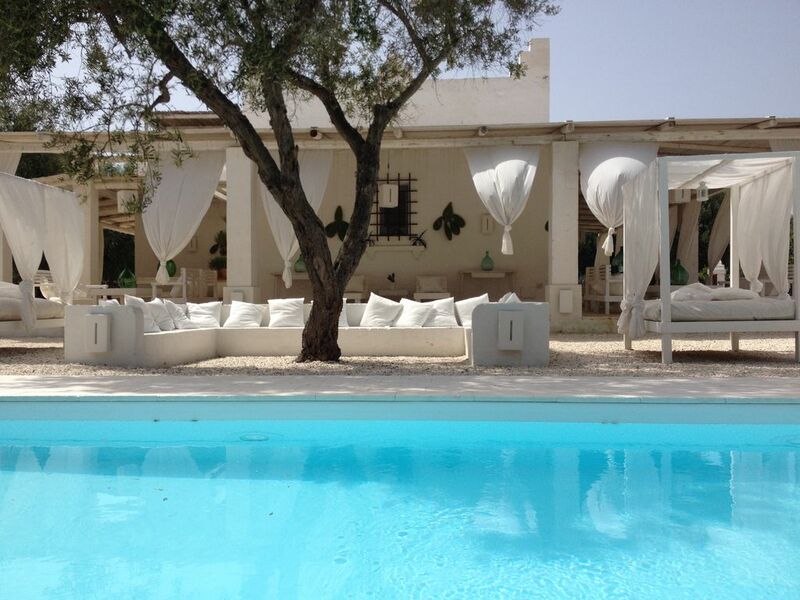 LUXURY APARTMENTS IN COUNTRY HOUSE "MASSERIA Scorcialupi"
Masseria Scorcialupi is an ancient country house dating back to the mid-800, immersed in the quiet countryside of Salento, a few hundred meters from the pristine sandy beaches of the blue Ionian Sea. Careful restoration has allowed the rebirth, emphasizing the glamor and charm, to bring the guests to the lost atmosphere of rural life: a place where time has stopped and life moves slowly, relaxing and privacy , between the scent of aromatic herbs, the Mediterranean colors and the sweet and soothing sounds of nature. The farm is composed of three apartments, for a total of 11-12 beds. The apartments have separate entrances and a private bathroom with shower; are all air conditioned and equipped kitchen with 4 burners and gas oven, refrigerator with freezer, microwave oven, toaster, espresso machine for coffee / cappuccino; Furthermore, TV LED 32 "HD and DVD players - Blu-Ray, iron, hairdryer. Finally, at guests' disposal: swimming pool 10 x 3 with large fitted perimeter zone; mini-pool 5 seater heated whirlpool, color therapy, etc . ; outdoor shower with hot / cold water; terrace furnished, for suggestive aperitifs at sunset and romantic evenings in the moonlight; free wi-fi; Shared outside washing machine; bicycles. A few meters away, a small white house with a big barbecue which invites you to memorable barbecues. Dry stone walls surround the entire property, surrounded by five hectares of olive trees, fig and almond trees. The strategic geographical position in the middle between the provinces of Taranto, Brindisi and Lecce, then, will offer the opportunity to easily enjoy the most exciting itineraries of Apulia.